As foundation executives leave for Capitol Hill to educate members of Congress about issues in philanthropy, one wonders whether the complexities and challenges of U.S. philanthropy haven’t been so downplayed in the foundation sector lobbying as to lead legislators into inappropriate conceptual byways. The simplification of philanthropy for the purposes of speaking to Capitol Hill legislators and staff members may be counterproductive in the long run. Foundations were encouraged by their cheerleaders to tell members of Congress stories about what good philanthropy is doing in their communities. In the day’s discussions, one never heard about the more challenging roles of foundations in supporting public policy advocacy on controversial issues. Intriguingly, throughout Foundations on the Hill events, the situation in Ukraine deteriorated drastically with nothing less than a Russian invasion of the Crimean peninsula. Nary a word was heard about foundations’ increasing involvement in international issues, nor discussions about what foundations might do about the invasion of Ukraine, or the massive continuing development problems of sub-Saharan Africa, or humanitarian issues in the Middle East. “Our communities” don’t stop at the boundaries of the U.S., but in making the case to Congress, philanthropy is getting a narrow local “good news” cast. We’re all in it together and all equally well motivated, right? 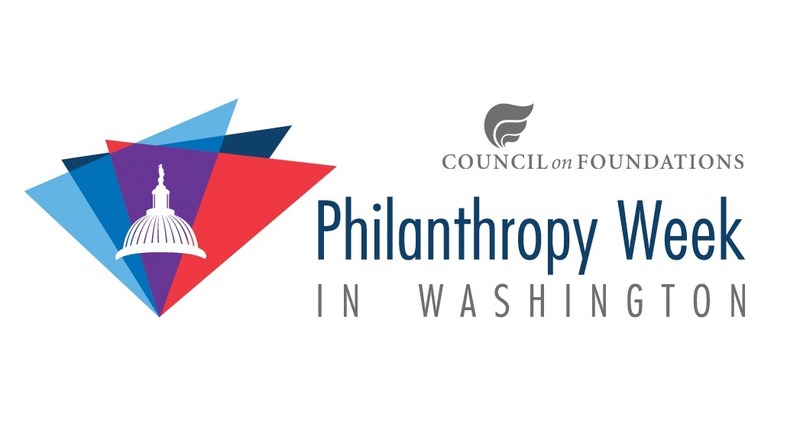 One speaker at one of the pre-lobbying pep rallies called on foundations to ignore any divisions within philanthropy, suggesting that questions about the motivations of anyone in philanthropy were inappropriate, if not illegitimate. That’s obviously not true, but the message that foundations rallied around was to fight against a cap or floor in charitable deductions. No one suggested that, given the congressional venue of the planned lobbying, the foundations and their nonprofit partners should be telling Congress that the nation’s legislators should be advocating for increased appropriations for the Internal Revenue Service, and specifically a significant infusion of money into the IRS’s troubled tax-exempt unit that could come from dedicating the foundation excise tax to that purpose. There are times when charity and philanthropy aren’t one big family, and regulators should step in when behaviors really need to be called out and stopped. But if foundations and charities don’t add the IRS—and state regulators—to the inner circle of the philanthropic family, they will have missed an important part of what makes the 501(c) community a fuller sector. Because of the dominance of the conservative Alliance for Charitable Reform in much of the programming, there was an element of a message being articulated that we have decried before, that charitable giving is more efficient and more effective than government spending, and therefore to be preferred. It is to be expected that conservative speakers like the Manhattan Institute’s Howard Husock and the Heritage Foundation’s Stephen Moore would suggest, to put their message kindly, that government isn’t quite nimble or creative enough. To hear that message again from foundation and nonprofit leaders instills in members of Congress a sense that the tax-exempt sector doesn’t value government spending for social problems. This is especially important in the wake of the announcement in the midst of Philanthropy Week of President Obama’s FY2015 federal budget, which called for noticeable increases in spending for social safety net programs. If members of Congress heard the tenor of some of the comments from foundations about the greater efficacy of charitable giving, it would be a problematic message for galvanizing this nation to deal with social problems that need public commitment and cannot be left to the discretionary decisions of private grantmakers. Perhaps the most distressing part of this was, in response to a presentation on volunteerism at the Red Cross, the general snickering that greeted the thought that no one volunteers for FEMA. That little swipe was uncalled for, especially in the context of a presentation about the Red Cross, which has endured a long list of questions and problems regarding its charitable accountability over the years. Setting up nonprofits as purported paragons in contrast to government agencies is often dangerous, ill-informed, and a slap against the work of the women and men who have made public service through government employment their commitment to their neighbors. Philanthropy in All Our Communities? Not Quite. The image that foundations have committed to present on Capitol Hill is one of philanthropy everywhere, but that’s not true. There are significant parts of the nation caught in the gaps of what might be called the philanthropic divide. Many of the nation’s communities and much of the nation’s nonprofits are not major players or major beneficiaries in philanthropic grantmaking. Remember that the foundations are going to lobby on Capitol Hill, where the departing chair of the Senate Finance Committee once chided philanthropy for its failure to deliver for rural America. Despite the efforts of some parts of philanthropy to remember rural communities—Colorado’s foundation efforts come to mind—rural America and many other underserved parts of this country are still on the margins of philanthropy, no matter how much cheerleading there is. As we have reported, a large part of charitable giving and a large part of philanthropic grantmaking goes to higher education, where, as Moore acknowledged, the tuitions charged don’t convey much of a sense that colleges and universities are nonprofits. The “nonprofitness” of parts of the nonprofit sector is an issue—perhaps to some members of Congress, definitely to some parts of the American public. Notwithstanding Moore’s contention that there might be something wrong with environmental groups, such as the Sierra Club, that had been purportedly taken over by extremists engaged in an anti-growth, anti-capitalism mindset, there are real questions about swaths of 501(c) organizations, especially given that it takes little to get the IRS’s approval for its generous definition of what might be charitable. Even among foundations and nonprofits, there is confusion about what might be charitable. Someone in one of the pre-lobbying sessions legitimately decried the idea that the highest paid “nonprofit” leader in the U.S. is the head of the National Football League, paid tens of millions, leading an organization that doesn’t exactly convey a feeling of charity. On one hand, the NFL does not qualify for donations that are charitably deductible, but it does administer charities and philanthropic entities. Goodell’s $44 million pay package could capitalize many nonprofits and even grantmakers. But others added more categories of big business cloaked in nonprofit garb as warranting re-examination, such as college football and college basketball, beneficiaries of charitable donations but looking to many like the big business operations they are. For lobbyists marching to Capitol Hill, it probably makes sense to sell the image of one big boat of charity and philanthropy, but in truth, a rising tide doesn’t help all charities—and sometimes helps some groups that may not seem all that charitable. For days, Nonprofit Quarterly has run op-eds from observers suggesting that issues of poverty and inequality are the top issues of the day and that prioritizing philanthropy’s connection and response to these issues is key at this time. It is striking that in the president’s proposed budget, there is a clear direction to the National Endowment of the Arts to prioritize programs that address minorities and the poor. It is a challenge raised by some in Congress. Speakers made California congressman Xavier Becerra the face of the issue of examining the benefits of charitable giving for minorities and the poor, but mischaracterized his position and that of others raising this issue as advocating that philanthropy be measured simply in direct services to the poor. That isn’t what he is saying, as he conveyed to Nonprofit Quarterly in a long interview in 2008. Becerra has been asking about how the poor and minorities benefit from the money government foregone in the charitable tax deduction, a question that need not be answered simply by direct service, and the speakers who mischaracterized Becerra’s position know it—or should. While dismissed, Becerra’s concerns—shared by others, like New York congressman Charlie Rangel—are legitimate. Charitable giving should contribute to the alleviation of societal inequities, and philanthropic giving even more so. When Congress foregoes tens of millions of tax revenues to support the charitable tax deduction, issues of social and economic divisions in our society cannot be swept under the rug. In addition to the meetings with Congress, foundations and nonprofits are meeting with representatives of federal agencies to address notions of public-private partnerships, perhaps along the lines of the White House’s “My Brother’s Keeper” initiative. It seems that in some ways, there is a misunderstanding of foundation relationships in partnership with federal agencies. The president’s initiative didn’t simply bring foundations and government officials into a room for a new partnership. Actually, foundations such as the California Endowment and Open Society have been advocating for structural responses to the needs of young black men in our society. My Brother’s Keeper reflects the independence of foundations, the fact that they aren’t clients or handholders of government, but a separate sector that engages in programs meant to compel appropriate governmental action. In response to NPQ’s coverage of Philanthropy Week, education advocate Diane Ravitch wrote us to say, “What is frightening is the power of the foundations that has been applied to the privatization of American public education. Who elected them to do this? When was it debated in Congress?” Challenging the dominance of foundations such as Walton and Gates in federal education programs, Ravitch suggests that the conversation should be about “what Congress should demand from foundations, not what foundations should ask for.” When foundations become part and parcel of government programs, their most effective role as supporting nonprofits to be counterweights to government—and to the corporate sector—gets lost in the mix. To some observers, the turnout for Philanthropy Week looked a little thin, and it wasn’t just because of the Monday snowstorm. It may be that most everyone sort of knows that the proposed changes in the charitable deduction in both President Obama’s FY2015 budget proposal and Congressman Camp’s comprehensive tax-reform proposal are destined to go just about nowhere as they stand. To argue against the sixth successive year of President Obama’s proposal to cap charitable deductions for people in the top tax brackets, a proposal that gets next to no support even from Democratic members of Congress, seems like shadow-boxing. To argue against Camp’s proposed charitable giving floor and concepts of an expanded standard deduction, part of a tax reform package that is clearly from the Republicans, not a bipartisan idea, is arguing against legislation that clearly won’t move. At best, pieces of these proposals, among others, might get some attention in the lame duck session of Congress after November, but as comprehensive rewrites of the tax treatment of charities and foundations, it’s not at all likely. These and other proposals are dead on arrival, but the issues they raise merit deep discussion, not simply out-of-hand dismissal. Better thinking and better research on the implications of these proposals should proceed, regardless of their limited lifespans as legislative proposals. For the purposes of these sorts of lobbying days or weeks, the mantra is often to keep it simple, don’t raise complexities, don’t get into the richness of the issues for fear that congressional audiences won’t get the point or might wander off topic. In reality, the conceptual richness of philanthropy, as evinced in the work of the foundations engaged in My Brother’s Keeper, the foundations that have come together to address the massive financial management problems of cities such as Detroit, and the foundations that are promoting the nation’s re-engagement with helping the nation’s poor and unemployed, is important for decision-makers to understand. It is what distinguishes philanthropy from charity. You might not know it, though, from some of the talking points and agenda being carried as the good news stories by some of the philanthropic lobbyists hitting Capitol Hill this week.